1793 Republic of Mainz—the first democratic state on current German territory—comes to an end when, after a siege of 18 weeks, French troops in Mainz surrenders to Prussian forces. 1894 Korea: Japanese forces in Seoul capture the king of Korea and install a pro-Japanese puppet cabinet. At six o'clock in the evening on July 23, 1914, nearly one month after the assassination of Austrian Archduke Franz Ferdinand and his wife by a young Serbian nationalist in Sarajevo, Bosnia, Baron Giesl von Gieslingen, ambassador of the Austro-Hungarian Empire to Serbia, delivers an ultimatum to the Serbian foreign ministry. Acting with the full support of its allies in Berlin, Austria-Hungary had determined in the aftermath of Franz Ferdinand's assassination to pursue a hard-line policy towards Serbia. Their plan, developed in coordination with the German foreign office, was to force a military conflict that would, Vienna hoped, end quickly and decisively with a crushing Austrian victory before the rest of Europe—namely, Serbia's powerful ally, Russia—had time to react. As the German ambassador to Vienna reported to his government on July 14, the [note] to Serbia is being composed so that the possibility of its being accepted is practically excluded. According to the terms of the ultimatum delivered on July 23, the Serbian government would have to accept an Austro-Hungarian inquiry into the assassination, notwithstanding its claim that it was already conducting its own internal investigation. Serbia was also to suppress all anti-Austrian propaganda and to take steps to root out and eliminate terrorist organizations within its borders—one such organization, the Black Hand, was believed to have aided and abetted the archduke's killer, Gavrilo Princip, and his cohorts, providing weapons and safe passage from Belgrade to Sarajevo. The Dual Monarchy demanded an answer to the note within 48 hours—by that time, however, anticipating Serbian defiance, Gieslingen had already packed his bags and prepared to leave the embassy. While the world waited for Serbia's response, Germany worked diplomatically to contain the effects of the ultimatum, but none of the other great powers, with reason, were inclined to see Austria-Hungary, with its relatively weak military, as acting alone. By 1914, the battle lines had been drawn in Europe: if Germany stood with Austria-Hungary against Serbia (and by extension, Russia) then Russia's allies, France and Britain, would be likely to step into the fray as well. The British cabinet, just after receiving the news of the Austrian note to Serbia, held a meeting in London, one that had previously been devoted to discussing Ireland's desire for independence. This note, as Winston Churchill famously wrote, was clearly an ultimatum, but it was an ultimatum such as had never been penned in modern times. As the reading proceeded it seemed absolutely impossible that any State in the world could accept it, or that any acceptance, however abject, would satisfy the aggressor. The parishes of Fermanagh and Tyrone faded back into the mists and squalls of Ireland, and a strange light beganto fall upon the map of Europe. On receipt of the ultimatum, Serbia at once appealed to Russia, whose council of ministers met on July 24 to determine a course of action. Russian Foreign Minister Sergey Sazonov voiced his belief that Germany was using the crisis over the archduke's death as a pretext for starting a preventive war to defend its interests in the region. Defying Austro-German expectations that Russia would back down in the case of such a conflict, the council agreed to order four military districts to prepare for mobilization. 1931 France announces that it simply can't afford to send a team to the 1932 Los Angeles Olympics. [Nor] had many of the spectator tickets been sold and it seemed that the Memorial Coliseum, which had been expanded to 105,000 seats for the occasion, would be relatively empty. Then, a few Hollywood stars (including Douglas Fairbanks, Charlie Chaplin, Marlene Dietrich, and Mary Pickford) offered to entertain the crowd and ticket sales picked up. 1933 Holocaust: The Board of Deputies of British Jews rejects a proposal to join the anti-Nazi boycott. 1935 Holocaust: Lithuanian police in Kovno suppress the Jewish anti-Nazi boycott. 1936 Remilitarization of the Rhineland: Representatives of Britain, France and Belgium meet in London to discuss the German violation of the Locarno Pact by remilitarizing the Rhineland. Baltics: The Soviets take Lithuania, Latvia and Estonia, in accordance with the Soviet-German non-aggression pact, in which Poland was divided between the two, and the Baltic Nations were "given" to the Soviets. The Home Guard was formed with the intention of delaying an enemy invasion force for as long as possible and to give the Government and the regular army time to form a front line from which the enemy invasion could be repelled. 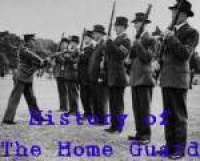 When they were first formed, the Home Guard were expected to fight highly trained, well armed, German troops using nothing but shotguns, air rifles, old hunting rifles, museum pieces, bayonets, knives and pieces of gas pipe with knives or bayonets welded on the end. The Home Guard was eventually issued with more conventional weapons, but these had their problems. Most weapons were either World War I weapons or they were American or Canadian weapons. The British infantry rifle of WWI, the .303" SMLE was issued to the Home Guard. American P14 and P17 rifles were also supplied. The P14 and P17 looked almost identical, the only real difference being that the P14 took the SMLE .303" ammunition whilst the P17 took the American .30" (30-06) ammunition. To prevent accidents, the P17 had a red band painted on it to identify the 30-06 calibre. The ancient sagas that Wagner used as a basis for these music dramas held for him revealed truths and insights into human behavior and emotions. He has not been alone in his interest and opinions. These myths have been used as an argument for, or illustration of, various beliefs and ideologies. The Ring has been variously interpreted as a look into the human psyche; a means of promoting socialism; a prophecy of the fate of the world and humankind; and a "parable" about the industrial society that was coming of age in Wagner's lifetime. It was also used by the Nazi party to justify and glorify racism, and to supply a basis of fanatic loyalty in the [SS]. (Sadie, 353) (Speer, 141). During the war there were killed in Belarus about 2.230.000 people (every fourth resident of Belarus). It was ruined and burned down 209 towns, burned down 9.200 villages. It was destroyed more than 10.000 of factories, 2.000 hospitals, 219 libraries. More than 380.000 people were taken away to Germany. Russian front: Rostov-on-Don is captured by the 1st Panzer-Armee, thus clearing the way for the advance of Armeegruppe A toward the Caucasus and Kuban region. The city changed hands twice during the Second World War. The German occupation lasted from November 21 to 29, 1941, and July 24, 1942 to February 14, 1943. Rostov was among the 15 Russian cities that suffered the most during the years of occupation; it was also the largest Russian city seized by the Germans. Members of the survey flight will be in Alaska and ready to depart by August first. In this connection a four-engine bomber will be at Nome in the event that it is required. I greatly appreciate your report on the difficulties experienced at the front with American tanks. It will be most helpful to our tank experts in eradicating the trouble with this model to have this information. The fire hazard in future models will be reduced, however, as they will operate on a lower octane fuel." Hitler signs Operation Edelweiss: a plan to gain control over the Caucasus and capture the oil fields of Baku during the Soviet-German War. On July 22, 1942, the Judenrat received instructions that all Warsaw Jews were to be deported to the East. Exceptions were made for Jews working in German factories, Jewish hospital staff, members of the Judenrat with their families, members of the Jewish Ghetto Police with their families. Over the course of the day, Czerniakow was able to obtain exemptions for a handful of individuals, including sanitation workers, husbands of women working factories, and some vocational students. He was not, however, despite all his pleading, able to obtain an exemption for orphans from the Janusz Korczak's orphanage. Sicily: American forces prepare to capture Messina. Russian front: In the East Soviets forces advance in the region of Orel and finish mopping up German troops from the southern sector of the Kursk salient. The Battle of Kursk was to have major consequences for the Germans. It was the last major offensive they launched in Russia. 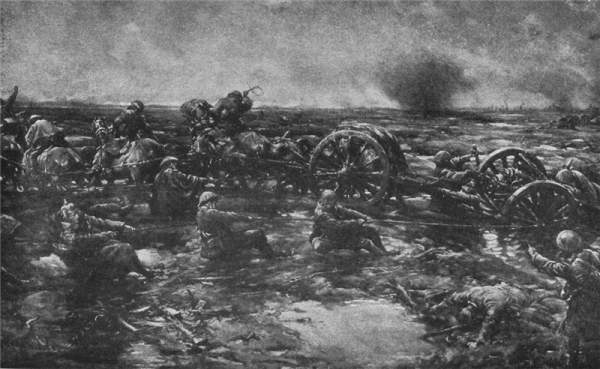 Now, their forces only faced retreat and attempting to stop the onslaught of the Red Army. 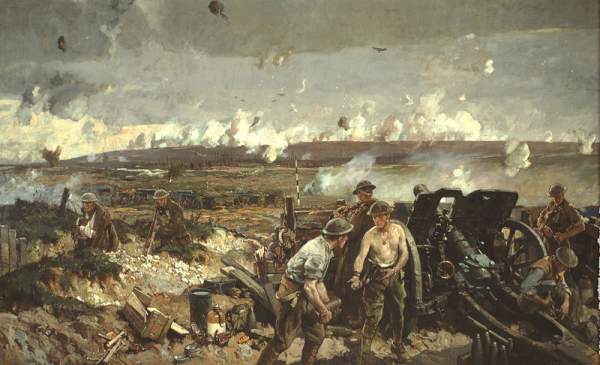 The material damage done to the German Army was massive—500,000 men were killed, wounded or missing; vast amounts of armour had been lost. As our V-1s raced over the English Channel for the first time during the night of 16 June, the English public was struck by paralyzing fear. The British Home Secretary Morrison saw himself forced to speak to the House of Commons the next morning about the use of our new weapon of revenge. He did that in a very tortured manner, openly admitting the seriousness of the situation for the British capital, but also attempting to reduce or even deny the serious effects of our revenge weapon. He apparently believed that he could deceive us about the extent of the damage caused, which was not possible, since our months of tests gave us opportunity to understand the new V-1 weapon in every detail, in particular its accuracy and explosive force. But there was yet another crucial reason behind the British home secretary's attempt to make our first revenge weapon ridiculous. 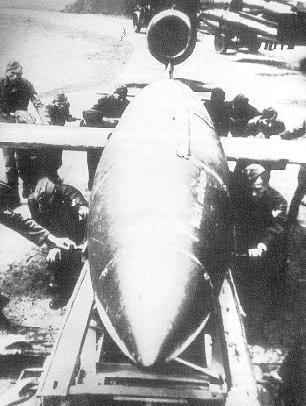 He did not want to give foreign countries the chance to learn the effects of the V-1, particularly since English government circles hoped to develop sufficient defensive measures. These hopes have proved vain. Nearly every day, the London press wrote about a new and effective, or even more effective, defensive measure, but not of them so far has been able to stop our V-1s from flying undisturbed, and in large numbers, toward London. Dr. Goebbels had written an article about the wonder weapon and discredited me very much with it, since everybody looked to me for speedy delivery of this wonder weapon. Then in a speech I told the propaganda leaders that I expected no military effect from these weapons. Only a moral effect of the wonder weapons was taken to the troops through the grapevines. That was personally unpleasant to me, because nothing new could happen and anyway I considered it false because it was my opinion that the fighting power of the troops was not strengthened by it, but weakened instead. Of the six death camps built by the Nazis in Poland to eliminate the Jews and other "undesirables," the least is known about Majdanek (also called Maidanek), despite it being in nearly pristine condition when the Soviets arrived there immediately following the Nazi evacuation of the camp in July 1944. While the wooden structure surrounding them had been destroyed, the crematoria had not been destroyed, and the rest of the camp was intact, including a mind-numbing amount of human remains on the premises, which would be exceeded only when the Soviets subsequently arrived at Treblinka and Auschwitz. What reason could Papen have for assuming in public a hostile attitude toward Hitler during his vice-chancellorship, and during the events of 30 June, if he had been, in fact, his loyal follower? What reason could Hitler who, according to the Prosecution, conspired with Papen, have had for desiring this, and this, after all, would only be a result of the conspiracy? 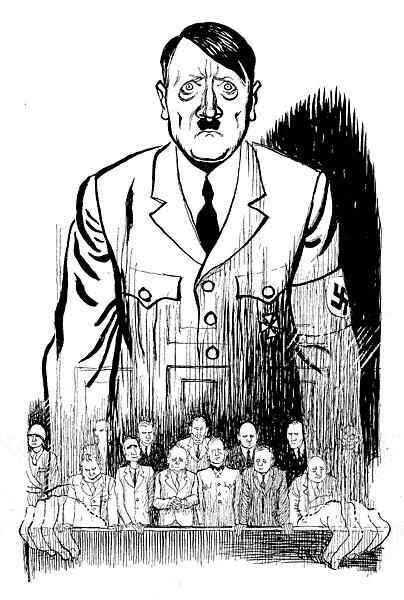 Could Hitler have wished Papen to disclose in his Marburg speech all the weaknesses and abuses of the Nazi system? What reason could Hitler have had for wishing Papen to remain so obviously aloof from the lawless proceedings of 30 June? It could only have been in line with his policy to show the unity between Vice Chancellor and Reich Chancellor to the public. If these points are taken into consideration, there is only one possible conclusion: There is no logical basis for the Prosecutions interpretation of Papen's inner conviction. When Speer believed that he had new reasons for apprehension that Hitler, induced by his close collaborators in Party circles, would use poison gas in the fall of 1944 and then in the spring of 1945, he opposed this determinedly as proved in his crossexamination by the U.S. prosecutor, Justice Jackson, and by the testimony of the witness Brandt. Speer's statement that due to this apprehension he had closed down the German poison gas production as early as November 1944 was confirmed by the witness Schieber. Speer at the same time established that the military authorities unanimously opposed such a plan. Finally, since the end of February 1945, the Defendant Speer had tried by planning conspiracies to have the war brought to an earlier end. 1) In Speer's memorandum addressed to Hitler, submitted as Exhibit Number Speer-1, the defendant establishes that Bormann and Goebbels called him alien and hostile to the Party and that a continued collaboration would be impossible, should he and his assistants be judged by party-political standards. 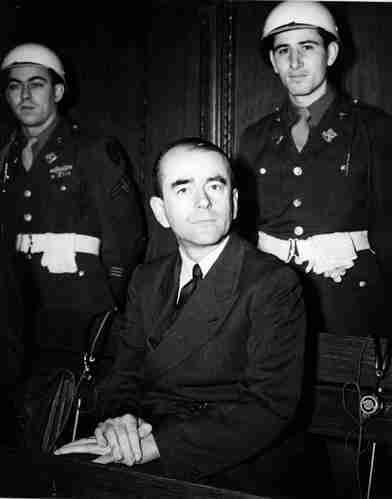 2) In their government list of 20 July 1944 the Putschists quoted Speer as Armament Minister and as the only Minister from the Hitlerite system, as stated by the witnesses Ohlendorf, Kempf, and Stahl. Would these circles have proposed Speer as Minister, both in Germany and abroad, if he had not been considered an honest and nonpolitical expert for a long time? Is not the very fact that he, as one of the closest collaborators of Hitler, was chosen for this post a further proof for the high esteem in which he was held by the opposition. My Lords, let me say a few more fundamental words about the Speer case itself. When the defendant took over the office of Minister at the age of 36, his country was in a life-and-death struggle. He could not evade the task with which he had been charged. He devoted his entire energy to the solution of the task, which seemed almost insoluble. The success he obtained there did not cloud his view of the actual condition of things. He realized only too late that Hitler was not thinking of his people, but only of himself. In his book Mein Kampf Hitler wrote that the government of a people always had to remain conscious of the fact that it should not plunge the people into disaster. Its duty was rather to resign at the right time, so that the people could continue to live. Naturally, such principles were valid only for governments in which Hitler had no part. As far as he himself was concerned, however, he was of the point of view that, if the German people should lose this war, they would have proved themselves the weaker nation and would no longer have any right to live. In contrast to this brutal egoism, Speer still felt that he was the servant of his people and his nation. Without consideration for his person and without consideration for his safety, Speer acted as he considered it his duty to act toward his people. Speer had to betray Hitler in order to remain loyal to his people. One cannot but respect the tragedy which lies in this fate. It was therefore for the defendant the bitterest disillusionment in his official life when he was forced to recognize in Hitler's speech on the ominous day of 5 November 1937 that all his efforts, his entire struggle, all his personal sacrifices during the last 5 years appeared to be in vain and that his influence with Hitler was broken, that the latter had decided to abandon him and the policy of peace and agreement advocated by him, and, if the occasion arose, to make use of military means in order to carry out his more than Utopian plans set forth in this speech. The recognition struck him like a bolt from the blue, since up to then nothing had intimated that Hitler might no longer agree on the peace policy advocated by the defendant. The heart attack which he had the next day may testify to the fact how seriously he felt this blow, which seemed to shatter all his hopes, all his efforts to protect Germany from the dangers of this foreign policy, from military entanglements, and a possible, nay probable, catastrophe. But in consciousness of his responsibility, his burning concern regarding the future of his people, before drawing the last selfevident conclusions and resigning, he considered it his duty to try once again by a very detailed and serious conversation to dissuade Hitler from persevering in his fatal plans and intentions. Yet, having to recognize from this conversation that Hitler's decisions were unalterable, he did not hesitate for one instant to tell Hitler that he had decided under no circumstances to take part in this pernicious policy, and that for such a foreign policy Hitler must find another foreign minister. Hitler accepted his resignation by his letter of 4 February 1938. I ask you, Gentlemen, is there a more unequivocal and clearer proof than this resignation to show the absolute inaccuracy, the entire hollowness of the charges made against my client at this Trial of having assisted or having wished to assist by his foreign policy in the planning and the preparation of wars of aggression which took place one and a half years later? Is there a more unequivocal and clearer proof of the absurdity of the application of the principles of conspiracy to the acts and deeds of statesmen and, in particular, of the defendant? Finally, is there a more unequivocal and clearer proof of the absurdity of a retrospective judgment of the policy of states, constituting as they do here one of the main bases of the whole prosecution? A graduate of Saint-Cyr Military Academy, Petain served as a second lieutenant in the Alpine regiment, where he developed a reputation for camaraderie with the average foot soldier. He then went on to a controversial teaching career at the War College, where he propounded theories that were in direct conflict with commonly held ideas, especially his contention that a strong defense was the key to victory, not the "always be on the attack" strategy common to the French military at the time. During World War I, General Petain distinguished himself at the Battle of Verdun, during which he successfully repulsed German attacks on the fortress city. He was an inspiration to his troops and successfully squelched near-mutinies within the army after disastrous offensives led by General Robert-Georges Nivelle. Petain regained the confidence-and loyalty—of those soldiers when he was named Nivelle's successor, improving their living conditions and initiating open communication between command and troops. In the city of Vichy, the French Senate and Chamber of Deputies conferred on the 84-year-old general the title of "Chief of State," making him a virtual dictator-although one controlled by Berlin. Petain believed that he could negotiate a better deal for his country—for example, obtaining the release of prisoners of war—by cooperating, or, as some would say, appeasing, the Germans.